This sadistic monster is made of a thick, unnatural fabric. Its sinister mouth bares rib-like teeth that can open and extend, pulling prey deep inside its hollow body. Suffocation comes quickly for victims as they struggle to regain their freedom. 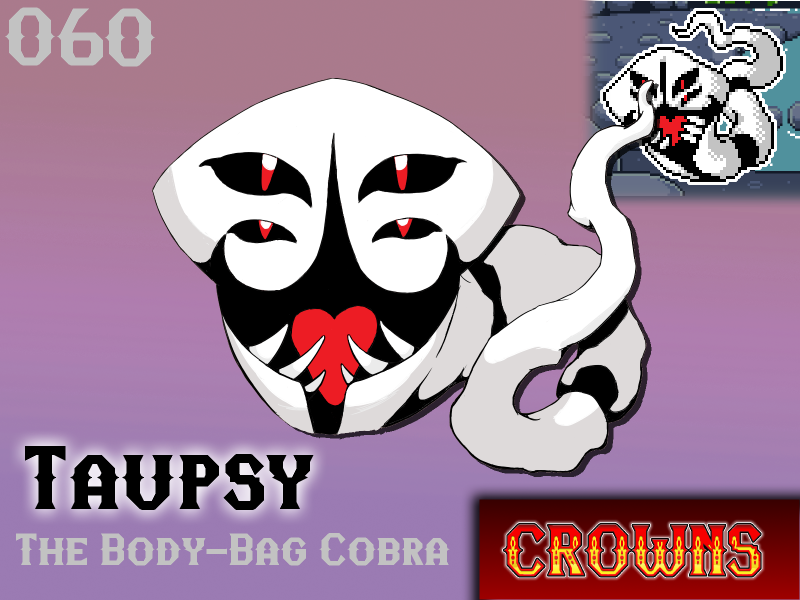 Locked inside Taupsy's slowly constricting body, asphyxia soon smothers all thought, leaving only inescapable fear. Experienced tamers have indeed recruited Taupsys before, often found in the quiet abandoned buildings and industrial districts where they roam. Surprisingly, the beast can go many months, or even years without sustenance. The reason it feeds is not clear, however, in the mind of tamers there remains only one, disturbing, possibility. Will Taupsy make your team?